I think since Penguin, SEO's reputation has been shattered beyond repair because you can't trust any method any longer in the medium to long term. SEOs will fight for the reputation of SEO and deny this, but that's the reality. Next it'll be paid directories that get hit because Google will decide that's link buying, not review buying. Then you might see "unnatural social signals". Google can tighten their grip far more than they are doing now. The SEO that works today may become the reason why you get the REAL unnatural links message tomorrow. In a way, perhaps it's a good thing - SEO will morph into simple marketing where marketers drive traffic from a number of various sources. Search engine traffic will be seen as an unpredictable bonus. I know a few people will laugh at that, but I'm looking at it from the small-to-medium size business perspective here. ...the big issue is incentive structures. The less reliable & predictable SEO is the harder is for people to justify large investments in it. That might be good for Google in terms of less people investing in gaming Google, but it is also a negative in terms of them not encouraging investment in deep expert-level content. I have recently come across a number of great deep sites like this one with cards or Authentic History, but Google giving eHow the green light while torching a lot of other sites is sending mixed messages at best. I think in terms of positives is that about the only big positive of Google squeezing out so many smaller sites is that it is leading to a lot of strong community vertical database sites (like Etsy & such), but even then those mostly only exist as commerce-driven sites, or a mix of art + commerce. This might be a bit much... especially with sites with a huge link profile., but... 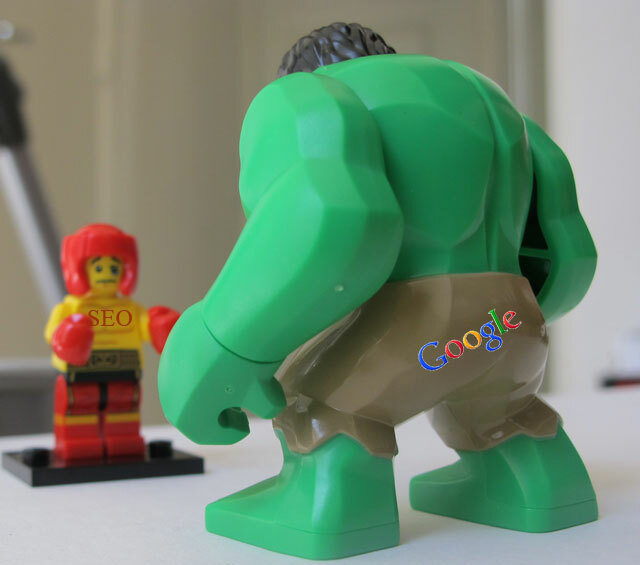 I think a solution to the negative seo problem could reside in the google webmaster panel. Why not require a site owner to sign up for google webmaster tools if they want their site to be in their search engine. In the webmaster tools, it already shows you the sites and the url's linking to your site. If google detects strange / spammy links, they can just list them in the webmaster panel and allow you to confirm or delete them. You keep the links you want or can vouch for and delete those that are suspect. Google already has the ability to show you the links pointing to your site.... why not give you the opportunity to keep those you want and delete those you don't want. I think this is the ultimate solution that is technically doable.... just an effort would be required by webmasters to check their inbound links in the webmaster panel every now and then. And if a webmaster really wants their site in the google index, i am sure they would have no problem with a forced requirement to sign up for webmaster tools. This would allow webmasters to police the internet. tokyotokyo, your idea makes sense if Google weren't being so spiteful and full of ill-will with the unnatural links penality. You can be 100% sure that Google have already discounted any "unnatural" links - if they can define what an unnatural link is, and therefore detect them, they can discount their value automatically. The reason Google sends out such messages and THEN asks webmasters to spend hours of their precious time emailing other webmasters to please please please remove each link is just a sadistic punishment that Google is handing out to such webmasters - like having to do 1000 press-ups in the army. It's really a bad move by Google given that a lot of innocent sites have been caught up in all of this and they're stuck in purgatory until they magically find all these links (if they can find them) and even miraculously have them all removed - think of all those lost man hours in performing a task that is utterly unnecessary and is borne of spite and ill-will. It's the perfect scenario for negative SEO. Perhaps Google now will not send out such notifications anymore and then they will think "negative SEO cannot exist any longer!". And yet, there will always be the inevitable clean-up - another Panda or Penguin will come along, but this time with many people with the full knowledge that links can hurt a site - and you can bet there will be a ton of innocent sites being penalised when that happens. TokyoTokyo, I can go on Fiverr and buy a package to send you 3000 links for $5. Do you want to spend the time going through them all in your WMT account and signaling them? Is this how you're supposed to spend your time? How about if I send you 30,000 links? The people at Google who thought about this are simply sadistic. They have the ability to discount links but they have no qualms of making people suffer through uncertainty and useless pursuit of link removals. The fact that "white-hat" seo blogs don't write about this, but try to find Google's side in all of this is shameful. All I am saying is that Google obviously claims that they have a filter for suspicious links. If they have this technology, then they surely have the ability to create a way for webmasters to bulk delete these links. This should eliminate us from having to search through 30k links. For example, Google could send us a message saying "We found 30k links that are suspicious, do you want us to delete them? Click "yes." If you want to rank in their index and Google thinks they are bad, get rid of them... no need to sift through them. Like you, and probably every other webmaster in the world, I am frustrated with this BS as well. However, the way it is right now, there is nothing at all that we can do. Having some control instead of none whatsoever would at least be a start.... don't you think? Obviously that would be better, but this seems like a rhetorical question. Obviously the answer would be yes. The problem is that this would force people to sign up to WMT, much like a protection racket. If you don't sign up, you're toast. Agreed... Google has been a racket ever since they began... however, I don't see it happening any other way except via the WMT. Since this crap broke out, I have yet to read a single possible or theoretical solution to this mess , other than change it back to the way it was before... and we all know hell will freeze over first. If there was a unified stance of the main SEO blogs against this practice by Google, it would reach the main stream media. This would force a change to prevent a PR disaster for Google. The fact that most of the big "white-hat" seo bloggers avoid this issue or downplay it is shameful and says a lot about their character or lack thereof. Think how resoundingly negative coverage was for their over-promotion of Google+ ... and that didn't change a thing. If that is so, only regulation has any hope. Perhaps people should start writing to their congress rep and senators to explain how small businesses are suffering. I am not an American, so I don't know how this can work. I have higher hopes of the EU investigation because Europe is less enamored with big businesses and their money than parts of the US are. However, I think Google views Google+ as a do or die situation (which it may very well be) so it has to run with it no matter what. I doubt if negative SEO is that important to them. Wasn't Panda driven by a lot of coverage of poor results for content farms? 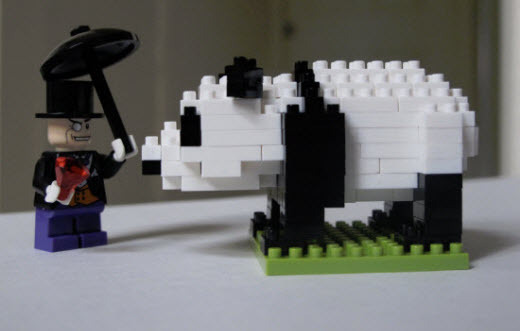 Yes Panda was in part driven by mainstream media coverage of content farms. Allegedly it was being worked on before that too, but that likely increased its priority. I also think you are right that EU has a greater chance of hitting Google harder. The thing is...it is likely irrelevant even if they hit them really hard. I mean even a $10 billion fine would just set Google back 6 or 9 months on their cash pile. And of course they would appeal it for years if they could, such that it would be an even less significant impact of their strengthened position with a higher cashflow & a higher chunk of savings. Tokyo... that's actually a really good idea about GWT link confirmation. The thing is though, Google doesn't care about that. They're worried about their advertisers, shareholders, and above all - their searchers. Without them, there's no money and no marketshare. I think they're going to keep changing the algo and adding cleaning agents like Panda, etc. bc they're trying to scare websmasters off to keep things status quo. They don't care about IM, SEO, or marketers, and why should they? To G, all we are is pests that need a monthly extermination. We offer them no value whatsoever. So what's the incentive for making link managment better? Even though it would be awesome, I doubt it would happen. ...after all, many SEOs evangelize Google & promote AdWords. They might not like active attempts at manipulating search, but that doesn't mean they dislike all marketing...if they found marketing that distasteful it is doubtful they would be so good at selling ads & so good at public relations. If Google can identify unnatural links then they can ignore them. Google has always argued that to reveal any sort of information about their algorithm would make it easier for "bad actors" to "game" the system. Thus, I can only interpret that since these new notifications are apparently not giving the edge to "bad actors", nor does Google seem to have the ability to automatically ignore their effects, then they serve only one purpose- plausible deniability when Google delists you and drops ehow and Livestrong in your place. I've said it repeatedly, "plausible deniability" is the Google mantra. NeonDog, Google DID ignore bad links from 1998 to 2012. From Feb/March 2012 (when they purged the big link networks) they didn't just discount links, they PENALISED links - suddenly off-page links can HURT your site. This is the biggest change in SEO since Google launched on September 27th 1998 (and I've been around longer than Google). Listen to Danny Sullivan and Penguin's no big deal - just another update, and negative SEO is just an "edge case". However, as in anything in life - it doesn't matter what opinion you read, you just need to tune into reality. I know, I was being a bit facetious. It's obvious that Google is an extremely, if not shockingly, technologically advanced company. Thus, these notifications seem to serve as "we told you so" justification to derank smaller sites/companies. The question is always, "Cui bono?" I really love the English used in these kind of fake emails. Yes, for what purpose indeed NeonDog (I looked up the meaning of Cui bono? :) ). I remember a few years back (think it was 2007 or 2008) Matt Cutts said Google wouldn't make any big algo changes to the 2 months leading up to Christmas - this was undoubtably when Google were feeling secure amongst themselves - to say such a thing is to tacitly accept SEO as a means to rank at the time (since anyone who ranked top 10 had done the usual linking business to rank). It was actually almost an intimation, a wink of the eye, to the SEO community that Google tacitly understood what's happening, and successful players wouldn't miss out on Christmas sales. Now in 2012, Google act a lot more coldly, and I think this is signalling their desperation. If Google were doing well, they wouldn't want to make huge changes. However, if their cash cow is under-performing (CPC dropping as noted at last quarter earnings), then radical action is needed. Especially if their cash cow is 98+% of their earnings. I predict a bumper earnings call for Google next time around - all numbers way up, CPC up, everything rosey (due to new Adwords subscribers). And this might signal to Google that unpredictability is how they maximise their profits - expect more SERP shake-ups if that's the case. ... I think people are reading too much into the lower CPCs & it is a non-issue. Why? Google knows the revenue mix across countries, across platforms, and across keyword type (brand vs non-brand). Analysts keep getting this wrong, but the main driver on lower CPCs is incremental brand searches having their audience move from clicking on the organic results to clicking on the extended AdWords ad units showing up for those brands. Aaron says it all in this post. If people can't understand how it's done, I don't know what they are up to. We can always say that if you're doing the best good thing there is nothing to worry about. The way I see it, Google just wanted to have a spam-free SERP. Indeed there is something to worry about...some sites have been hit due to competitive sabotage. That is part of the problem with the "anti-SEO" algorithms Google has rolled out. While I respect the commercial acumen there is something about this offering that feels a little wrong to me bruceclay.com/seo/penalty-assessment.htm (no this isn't a link dump) . I totally understand that Forensic SEO is a legit service and I'm sure that the Bruce Clay service is great but it feels a little off. I'm sure that clients buying this could have seen rankings take a dive due to factors that aren't penalty related at all e.g. : robots.txt misfires or devs canonical tagging sites into the stone age. I guess their is always a willing audience for "safe" services in times of FUD. ...selling into those is generally more profitable than asking people to change. Creating pages about Panda and Penguin and so on is simply smart marketing. 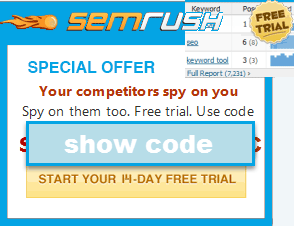 This is no different than us having a keyword density analyzer tool on our site here. I don't use it often, but people search for it, so why not give myself a chance at capturing a portion of that traffic stream? There is nothing to worry about if you're doing the nice way. Google is just doing it's part to avoid those SPAM.